partners are researched, vetted, and selected by Orvis experts. The time has arrived to experience the pristine flats and vibrant culture of Cuba. seemingly endless seascape of pristine flats. and all the waters in between. 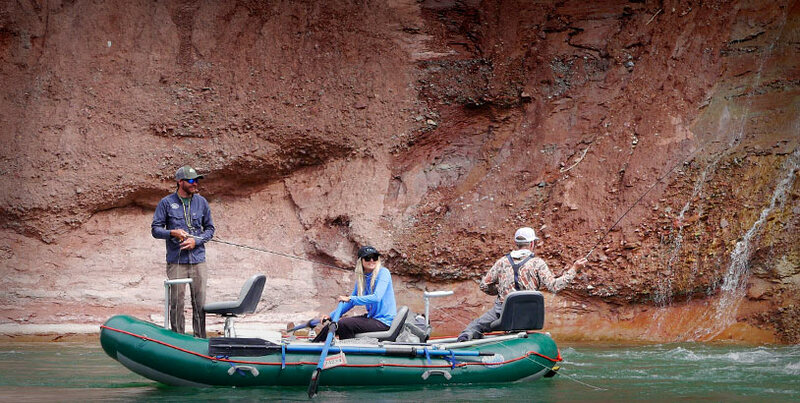 Access to some of the world's most remote trophy rainbow fisheries . in regions steeped in history and tradition. while stalking wild browns and rainbows. unknown in the rest of the world. and the best guides out there. Start close to home. 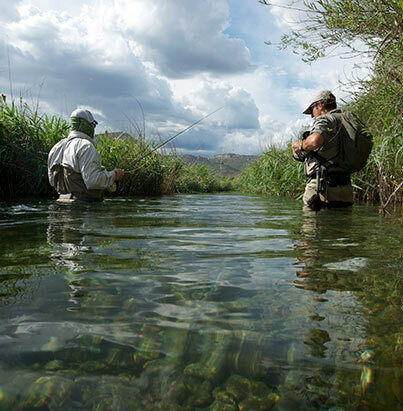 Discover more than 200 Orvis-sanctioned fly fishing resources in 40 states, including lodges, guides and guide services, outfitters, expeditions, and kids’ camps, with additional resources in Canada and Mexico. Each one met our rigorous standards—we’ve already done the legwork for you. Shop for a vacation package, or plan your own. We’ll help you design an adventure for your entire family, or a trip just for you and your angling friends. 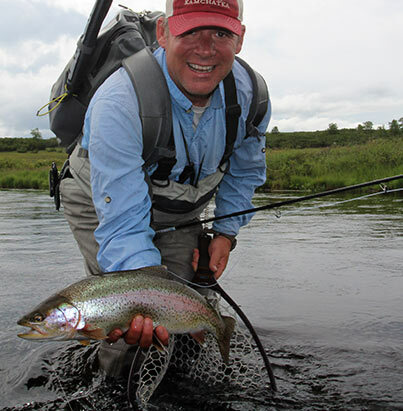 And look to Orvis to help organize a memorable trip for your corporate group. Find helpful tools—useful lists of suggested gear, and species tabs for insight into what’s biting where you’re going. Learn about Orvis’ special events in North America, and as far afield as Belize, Argentina, Chile, and beyond. Here in the United States you’ll find a fly fishing destination on every corner of the map, something close to you wherever you are. Maine’s Libby Sporting Camps (2007 Lodge of the Year) accommodates guests in private log cabins, with family-style meals served in its historic lodge; anglers fish for brook trout, landlocked salmon, and other species that change with the seasons. Choose Alaska for its char, salmon, and trout. Orvis twice bestowed King Salmon, Alaska’s Crystal Creek Lodge the distinguished Fly Fishing Lodge of the Year award; it’s a trusted partnership going back to 1991. The C Lazy U Ranch touts “something for everyone,” including horseback riding, incredible trout fishing, and gourmet cuisine in its historic Granby, Colorado ranch setting. And California’s Sierra Fly Fisher guide service in Bass Lake serves beginners through advanced anglers, with excursions in Yosemite National Park and the Sierra Nevada on waters teeming with rainbows, brooks, browns, and rarer golden trout populations. Consider these mere appetizers, something to get you thinking and planning, and remember that fly fishing isn’t just for grown-ups: introduce your kids (or grandkids) to the joy of angling while they’re young. Discover outdoor youth adventure programs for all ages. Go further afield. Fish Quebec’s Grand Cascapédia during your stay at Salmon Lodge. Or catch the northern lights (among other things) on Wollaston Lake in Saskatoon, Saskatchewan. 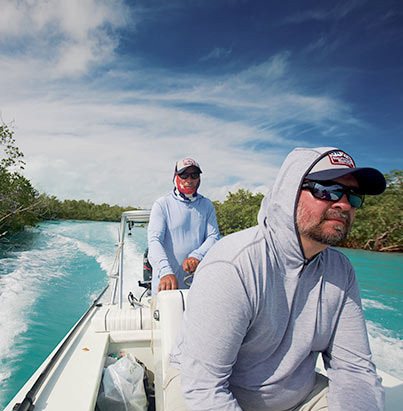 In the Caribbean and Central America try bonefishing in the Bahamas: Bair’s Lodge on South Andros Island (the biggest Bahamian island) accommodates a small group in luxury, or enjoy a three-day saltwater fly fishing school at Abaco Lodge. Belize’s charming El Pescador Lodge is an excellent destination for the novice and the seasoned angler alike; the Bonefish Bonanza trip was conceived for an intimate group of anglers and their guests and boasts guided fishing aboard a Mexican-style Panga skiff, as well as snorkeling in the extensive barrier reef and excursions to Mayan ruins on the mainland. 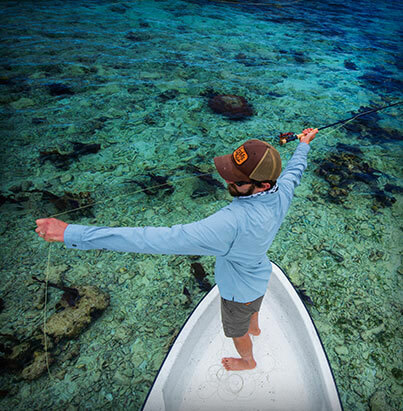 Or enroll in our four-day Belize Fly-Fishing School at El Pescador; learn top-notch angling technique under the watchful eye of an Orvis fly fishing instructor. South American offerings include Venezuela, Chile, and Argentina, where our Board Chairman Leigh Perkins’ penchant for the Estancia Tecka is predicated on his intimate knowledge of the waters there. New Zealand’s Stonefly Lodge offers diversions for the non-anglers in your group, as do many other of our vacation packages. 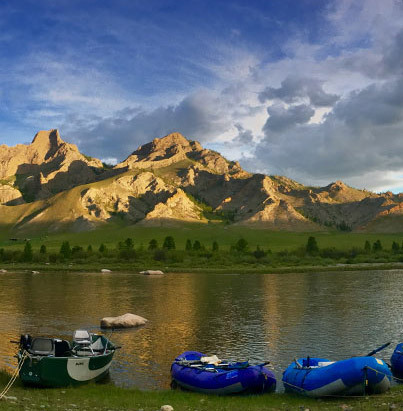 Asian trips remove anglers from civilization to the far reaches of Mongolia, where adventure goes beyond fishing for prehistoric salmonids to include a brush with the indigenous culture of the region’s nomadic population. And this is just a glancing blow—we’ve not even nodded to our partners in Europe, where you will find exotic, luxurious, and far-reaching fishing excursions in the Spanish Pyrenees and Norway. Who better than Orvis to help you plan the details of your next fly fishing adventure? We invite you inside; consider this your comprehensive fly fishing guide to the best trips the world has to offer. And the common denominator among them is the prized Orvis endorsement. Click around, and then pack your rods: the fish are waiting.